We offer many one-time treatments without requiring an on-going contract. If you're interested in preventing pests year round, check out our Preventative Maintenance Programs. Reliable has an excellent, affordable bed bug treatment program! We use the industry’s best liquids and dusts to find and treat bed bugs where they are hiding. 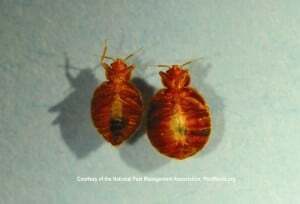 See our Bed Bug page for details. We mostly use the soil treatments method. Soil treatments are liquid termiticides diluted with water to ensure adequate coverage in the soil. Injection of this system in the soil creates a treated area that repels or reduces the population of the termites and envelopes your house with a long-term protection. This is the most commonly used system and may be used in combination with baits and/or wood treatments. 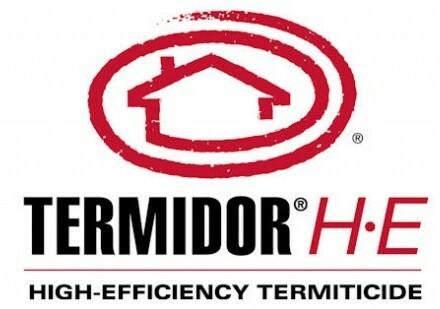 The newer termiticides (since 2000) are non-repellant and non-detectable to the termites. Termites will travel through the treated soil around the house and pick up the termiticide molecules on their bodies, then transfer those molecules to the other members in the colony, thus killing the colony over a period of a few weeks. Our termite treatments come with a one year warranty and the option to extend the warranty annually for continuous termite protection. Our treatments for carpenter ants, and all kinds of ants, include a gel bait injected in cracks and crevices and a broadcast liquid spray around the perimeter of your home or business. 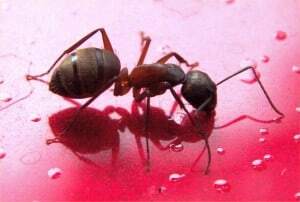 All our ant treatments come with a 90 day warranty, which almost always lasts through the season for invasive ants. The gel baits are odorless and thus don't attract curious pets, making gel baits a great treatment for households with pets. Fleas can get into all areas of your home so we do a thorough crack and crevice treatment along with a broadcast spray inside the home. The best treatment success comes when the homeowner prepares the home for treatment following our instructions. Our Homecare Programs provide year round defense against spiders and general pests in and around your home. We also do one-time treatments for less frequent needs. Although there are thousands of different spiders, most people are concerned about brown recluse spiders. We can identify and treat brown recluse spiders. Roaches like dark, damp, and warm places like the near the motor of your refrigerator, microwave, or dishwasher. So we target our treatments to their harboring areas. Our baits attract roaches, and they even share the bait with the other roaches in the nest. In most cases, the bait is applied in such a way that no one will know you are undergoing a treatment for roaches! Mice and rats are active almost all year round. We have a great selection of bait stations and bait, now only available through a licensed pest control operator. We know rodent habits and can exclude them from your home. It takes years of experience to really understand how rodents think and how to exclude them. Scientists use lab rats for a reason, because they are smart! Our rodent treatments are effective and long-lasting. If you're looking for control of squirrels or larger rodents, please contact a wildlife control company. If you're unsure what's making that noise in your walls, give us a call for an inspection! Carpenter bees, hornets, wasps, and yellow jackets all pose a threat to you and your children's safety. We can usually be at your house within a day or two to treat these stinging pests. These invasive pests try to overwinter in your home starting mid to late fall. They may swarm the home on the sunny side of the house or just show up inside in the spring when they try to return to the outside. We have a huge list of customers that ask us to treat specifically for these pests in the fall. 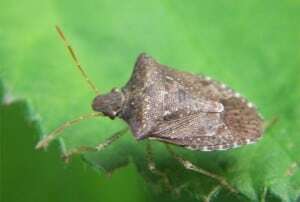 Just call and ask to be added to our Fall Invader Treatment Program, and we'll treat your home before the stinkbugs find it! 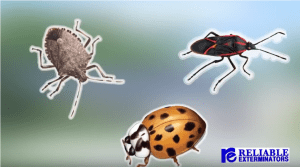 If you experience these pests coming out of the walls in the spring, we can treat for them, but the best solution is to treat the house in the fall. Our general treatments cover a whole host of occasional invader pests. These include: centipedes, millipedes, earwigs, oriental roaches (waterbugs), silverfish, pillbugs, crickets, spiders. We do one time treatments as needed but our Homecare Programs control these pests year round! We have methods available to reduce the extra moisture in your crawlspace which can attract termites, ants, wood decay fungus, and many other pests. Just call for details! Looking for Commercial or Residential Preventative Maintenance? Check out our Preventative Maintenance Programs for year round pest prevention!